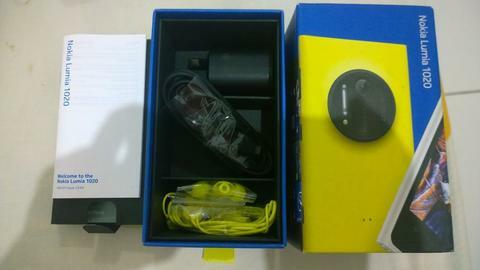 Hello guys, gue permisi yah, mau numpang bantu cewe gue jual Nokia Lumia 1020 nya dia. As you guys could probably tell, handphone ini camera nya luar biasa bagus, 41 megapixels, way ahead of its competitors. Other than that, layar nya juga anti gores (tanpa screen protector), you have my words on that. Semua nya masih working in PERFECT condition, dari phone nya, headset nya, charger nya, etc. Alright, let's get going shall we hey? SOLD OUT. Special thanks goes to the buyer, and to everyone yang juga sudah bantu sundul.